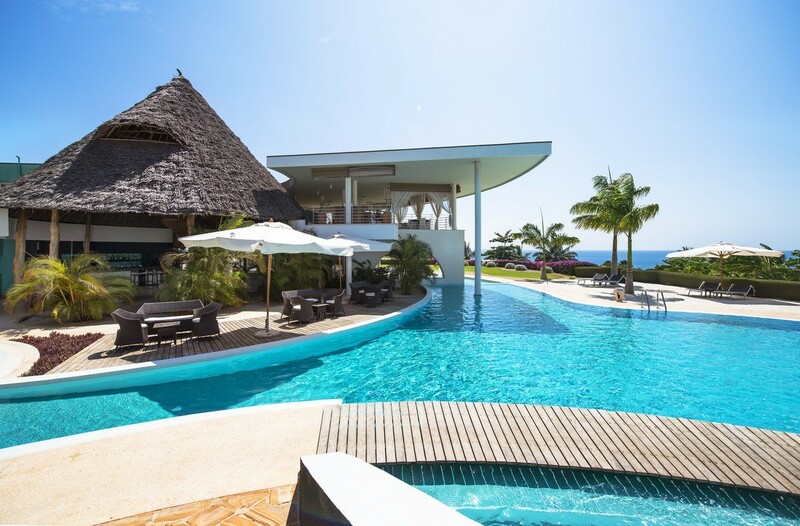 Nestled on the North West Zanzibar at Nungwi, this flagship Diamonds resort offers 11 one or two bedroom private villas, each with their own plunge pool, overlooking the azure ocean. 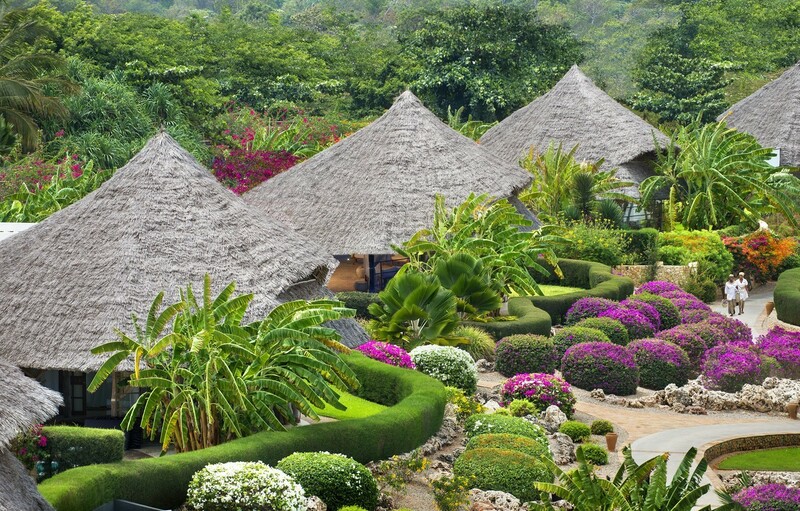 The villas are the real highlight with spiral shaped pools, butler service, four-poster beds draped in white linen and indoor/outdoor bathrooms. 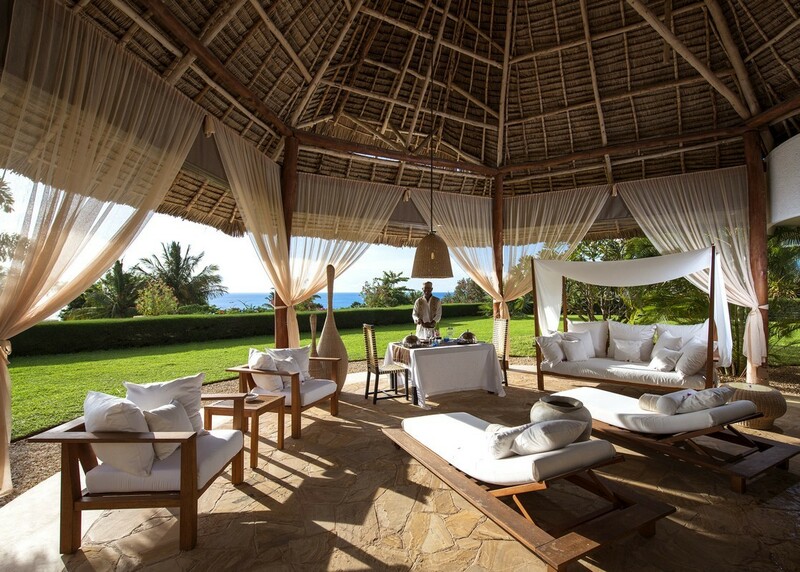 Each villa sits in its own tropical garden walled by foliage and offers a hilltop view of the Indian Ocean. Star of the East guests enjoy exclusive access to a private beach, plus an all inclusive programme that covers all drinks (including a personal bar stocked to order with premium brands) and meals in the private restaurant. 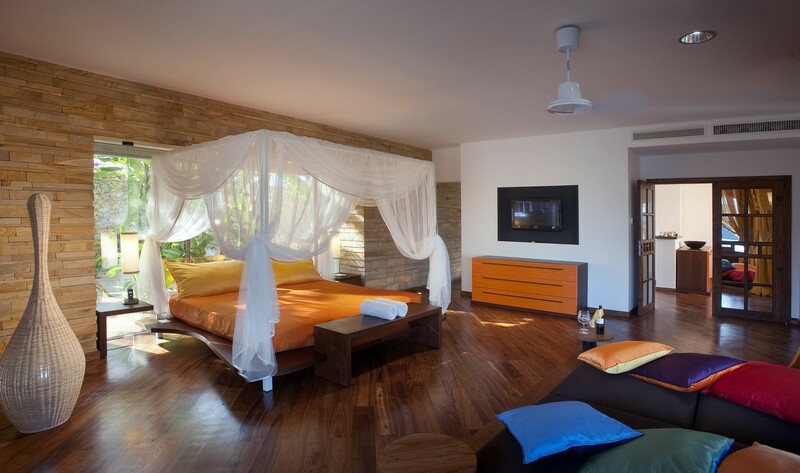 Guests also have access to selected Diamonds la Gemma dell’Est facilities and food and beverage outlets. This resort is the perfect escape for those in search of island pampering at its best. There are 7 one bedroom villas and 2 one bedroom villas with additional in-room Jacuzzi designed in modern contemporary and African style and built to give discerning guests the ultimate on space and luxurious privacy. 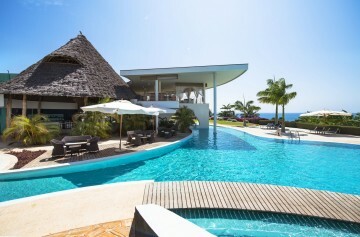 Each villa comes with a private plunge pool and Jacuzzi, an extra-large and fully furnished terrace with a covered and open area and a large tropical private garden to enjoy the un-matched views over the sea and the famous Zanzibar sunset. The 2 two bedroom villas with additional in-room Jacuzzi designed in modern contemporary and African style are built to give the discerning guest the ultimate on space and luxurious privacy. 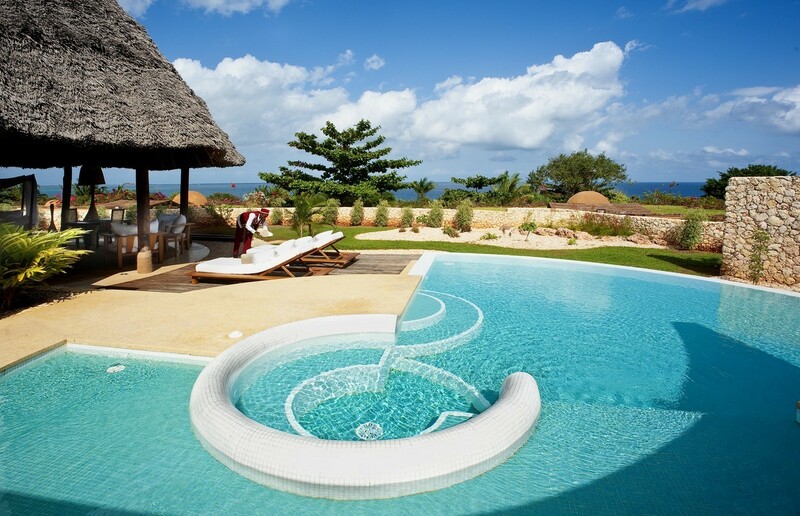 Each villa comes with a private plunge pool and Jacuzzi, an extra-large and fully furnished terrace with a covered and open area and a large tropical private garden to enjoy the unmatched views over the sea and the famous Zanzibar sunset. 24 Hour in room dining with a wide selection of international dishes. Serves fine dining a la carte dishes with panoramic views of the ocean. Serves finger food, snacks and a variety of International and Local drinks and large selection of cocktails. Located on the magnificent pier, serves fresh seafood in an exceptional and romantic atmosphere. The Tropicana Pool and Snack Bar serves drinks including beers, wines, spirits, local fresh juices, homemade ice teas, cocktails and more. The outdoor restaurant on the beach serves light snacks salads, homemade pizza from the show kitchen as well as a curry buffet at lunchtime. Complimentary through Diamonds Star of the East.